Since April 2018 has come and gone, the original content is no longer relevant. 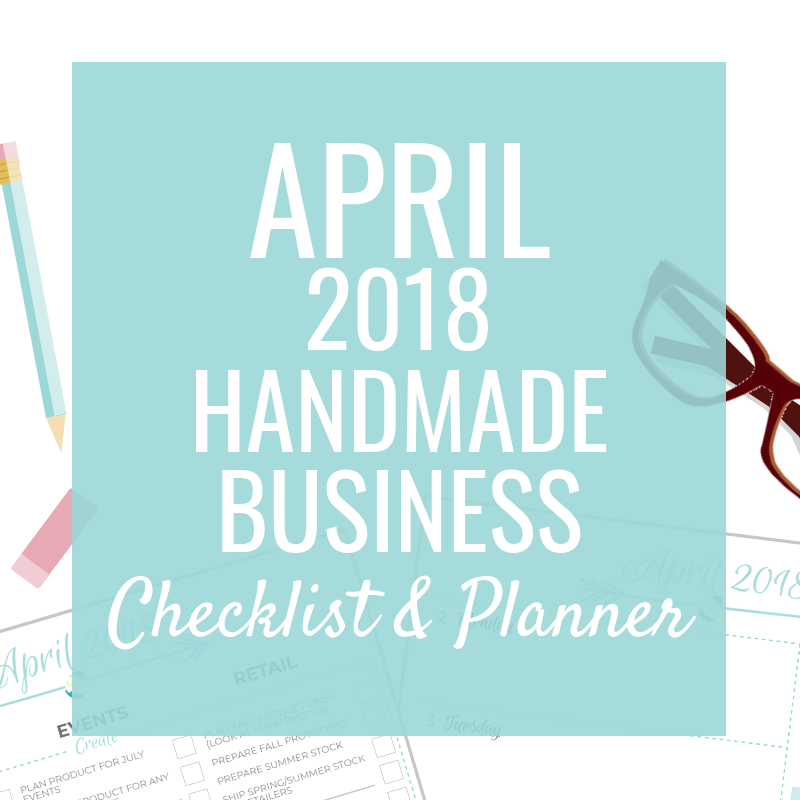 I have improved the article and made it evergreen so the advice applies no matter which month it is and you can grab the most current checklist and planner. 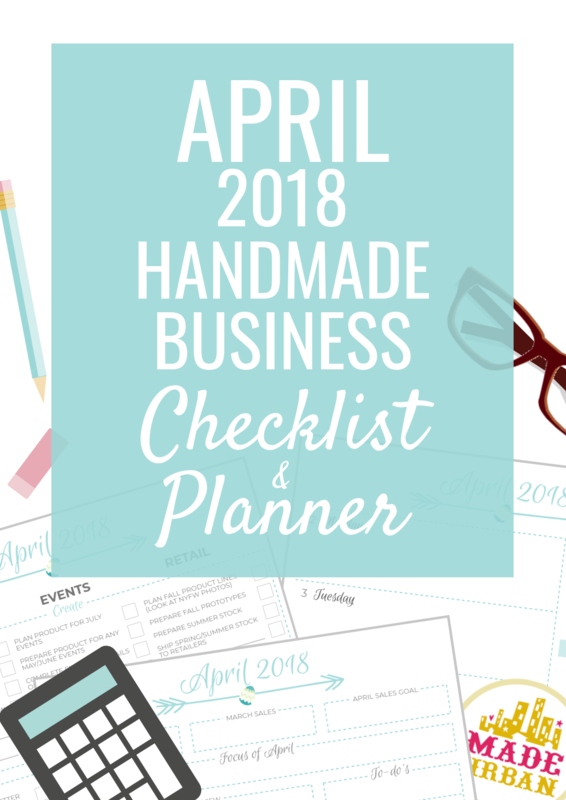 Love these posts – I’m finding these and the worksheets very handy to help me focus and plan, and they pair really well with the ebook of yours that I bought to help me make money at craft fairs! I look forward to each and every blog post from you! I have your books and love the information in them as well. 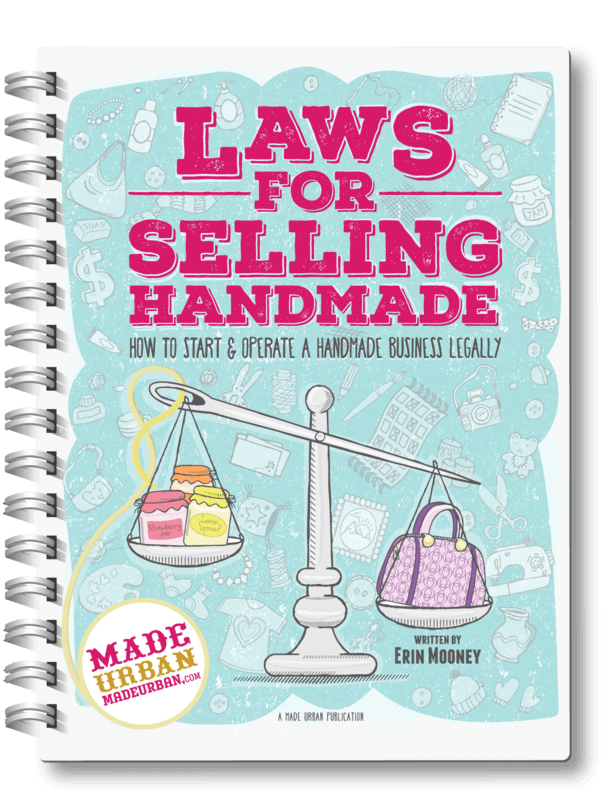 My business is moving forward due to your steps for handmade businesses. Looking forward to the next one! This is a wealth of information! I like that you say “stop treating your business like a hobby”. I agree. I will be implementing your ideas over the next few months as I am devoting my time to my two business full-time now! Thanks for this! I just found your blog and books today and am excited to really get into the books I ordered.